For companies with growing amounts of unstructured data, NoSQL databases are becoming integral parts of day-to-day business. However, SQL still maintains an important presence. 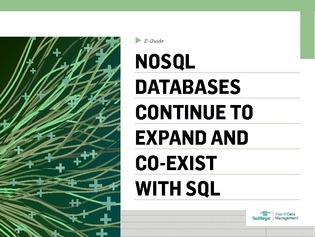 In this expert e-guide, explore the challenges that NoSQL databases are rising to meet, and how the latest developments in NoSQL database technology are interweaving with traditional relational databases.